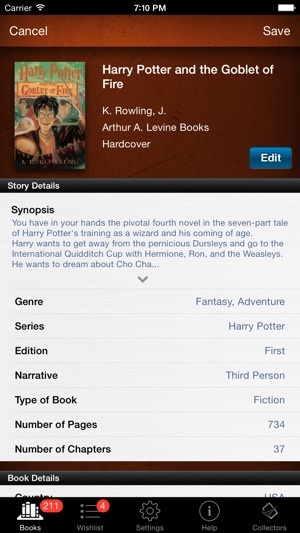 Catalog and list all of your books. 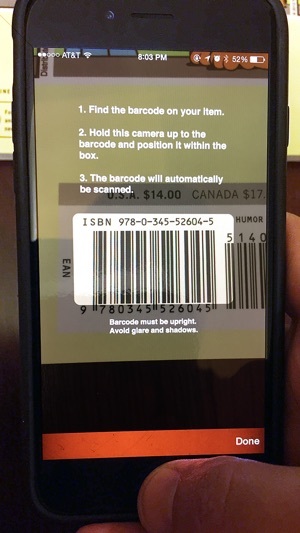 Built-in UPC ISBN barcode book collection scanner. 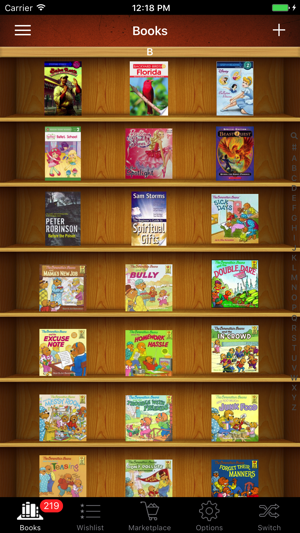 Manage a classroom library, eBooks, hardcover, softcover, and more! 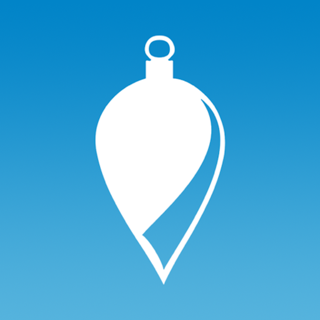 View information, cover, and add personal details. 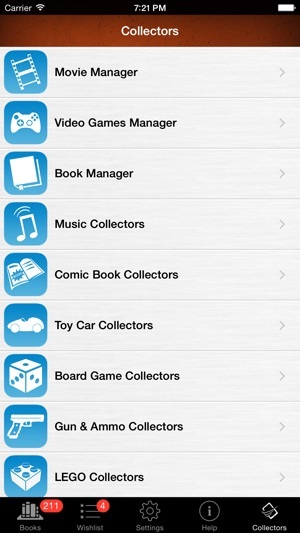 Check out other apps by Sort It Apps / iCollect to manage most any collection you own. Like Discogs for books! 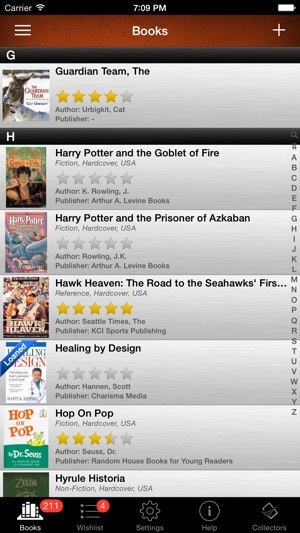 Better than Collectorz, Delicious Library, Book Crawler, Book Buddy and the rest. Overall was expecting a much more intelligent and efficient app for this purpose; and the $10 is just a bit too steep a price to pay. 1.) You have to manually put in the ISBN of each book which can be tedious. When I tried the camera option, it just told me that the ISBN might belong to another book and to manually put it in anyway. 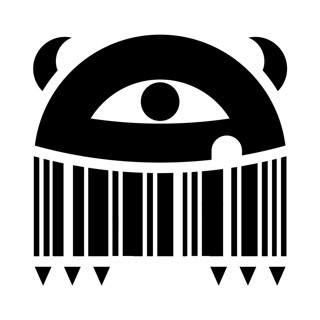 Also, if you are able to capture the ISBN image, there is a small limit to how many books you can add that way. Then they want you to pay $9.99 for unlimited. That is an absurd amount of money as you can continue to manually input them. 2.) Some of the author’s names or book titles are put in strangely so they are out of order when you try to organize them by name or author. For example, Harry Potter #7 author name is K.J, Rowling, so it’s not included with my J.K Rowling section which is super annoying. Also, you can’t edit it without paying that ungodly amount of $9.99. Otherwise, I’m enjoying the app. I use this one as well as the movie app. 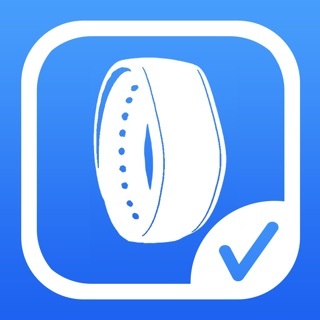 Do not download this App. It is free up to a point, and then once you download a certain number of books - well under 10, they give a pop up saying you need to pay $10 for more advanced usage. I accidentally hit that agreement and instantly bought the $$ app. I immediately contacted Apple and attempted to get a refund and was informed that this company did not offer refunds so I would need to contact them. So I did that. I got an automated reply (on that Friday) that I would be contacted by someone M-Th. No reply. I waited until Wednesday of the next week, sent another message, no reply. POOR CUSTOMER SERVICE. Complete and total rip off! Do not grace this company with your money. Shame on them.